CUSTOM SPOON. 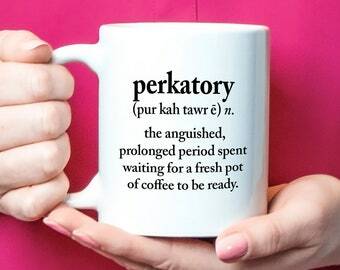 Personalized Coffee Spoon. 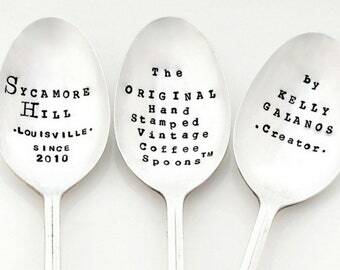 The Original Hand Stamped Vintage Spoons™ by Sycamore Hill. 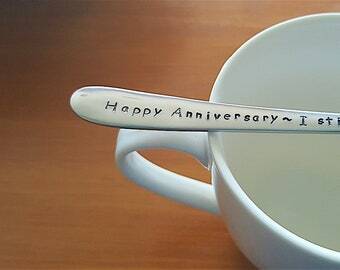 Personalized Teaspoon. Stamped Spoon. Custom Spoon. You CHOOSE SIZE. The Original Hand Stamped Vintage Coffee and Espresso Spoons™ by Sycamore Hill. Teaspoon. Tablespoon. Custom Spoon. 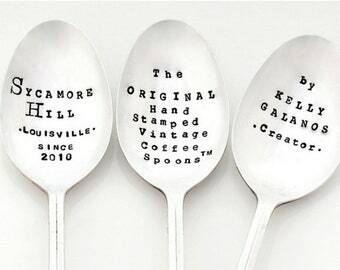 The ORIGINAL Hand Stamped Vintage Coffee and Espresso Spoons™ by Sycamore Hill, Since 2010. 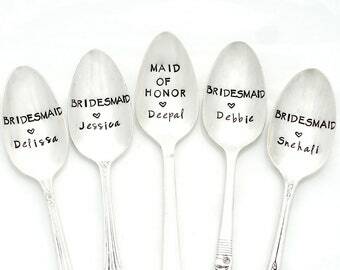 Handstamped Silverware. Teaspoon.